We're now in the second post of a four-part series where we're creating a checkout form application in Vue.js that can accept payments via the Stripe API. 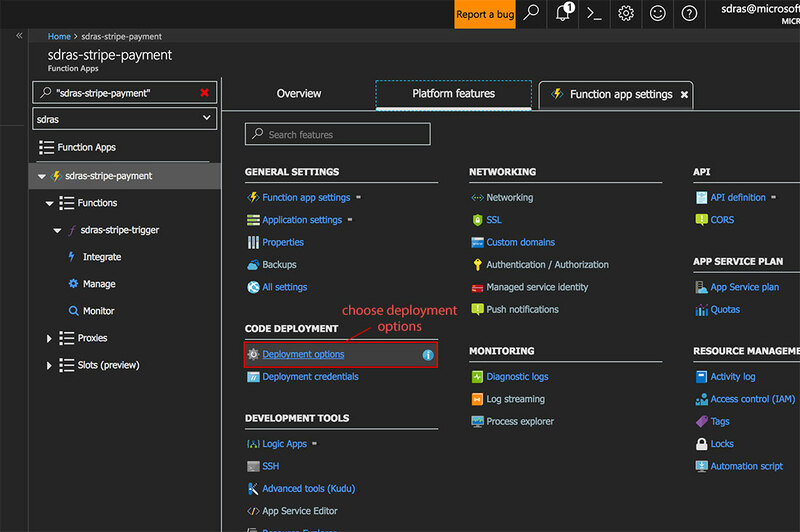 In part one, we looked at the concept of serverless functions, set one up in Azure, and connected it to a Stripe account. In this post, we'll focus on setting up Stripe as a serverless function and hosting it all on Github. 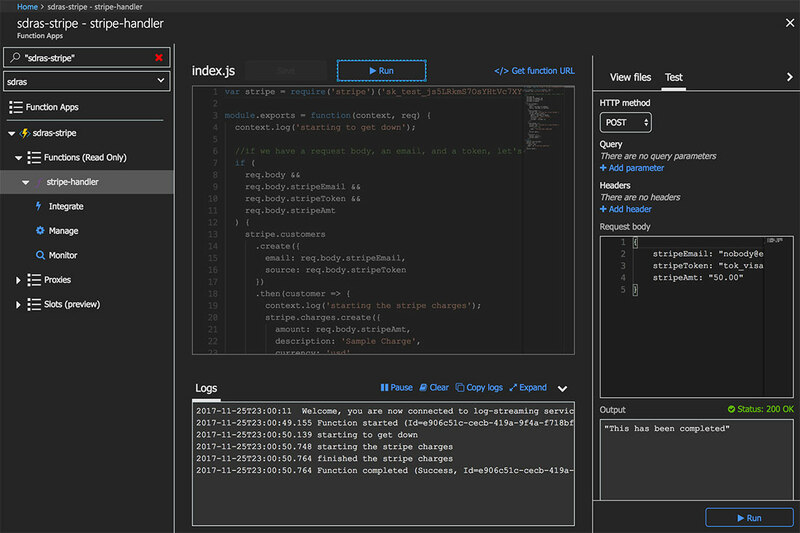 We won’t need to set up all of Node and Express for this, though, as what we really need is the amount, the currency, the description, and the token, which we can integrate with the testing code we were provided earlier in the portal's view of our function. So, let’s head over to the Azure portal where our function lives and update that default testing code to accept the parameters we need for Stripe, and also populate the request.body in the test panel. If we have a request body, an email, and a token, then let's get started. We’ll create a customer from the email and then use that customer to create the Stripe charges, passing in the amount of the charge as we do so. You'll note that I log a lot. I think it's not enough to know that something has errored. I want to know when the error happened and why so that I can track it down. This makes it much easier to debug if something were to go wrong. We'll pull everything from our function into this repo. 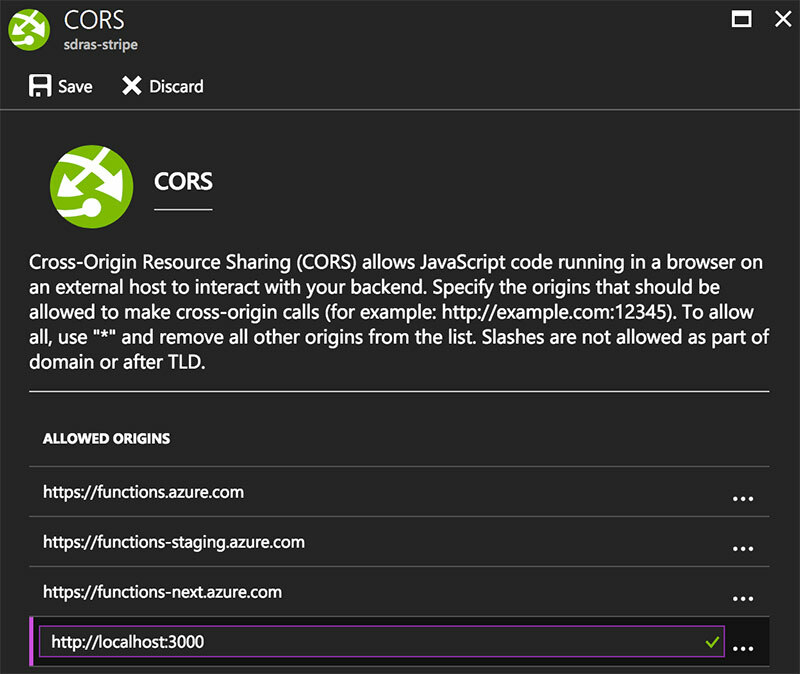 This includes the function itself, the package.json file, as well as the contents of the function.json file that you'll see in the "View Files" tab on the right in the Azure portal. 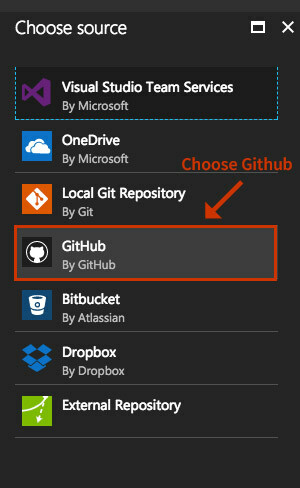 Once we have that all in ready to go in a Github repo, we'll head back over to the Azure portal, because now we have to let Azure know that we'd like to use this repo to host our function instead of our test. We can still test our function inside the portal—we just won't be able to edit it via the GUI anymore. From here, click "Settings" then "Choose source" and a number of options will be provided. I’m going to choose Github because that’s where I want to host mine, but you can see that there are a lot of other ways we could have done this. After we’ve done this and it’s loaded, you’ll be taken to a "Deployments" screen that shows the last commit that you made to the repo. That means everything’s working correctly! In the prompt that appears, we'll whitelist our localhost dev server, as well as our final URL for the site. Voila! We're all set. We got a lot done in this post! Next, we'll want to learn how to move away from testing only within the function and get this sucker communicating freely with a checkout experience that we’ll build within a Vue.js application. Stay tuned! If I understand your question correctly, no- I’m not using express, the first example is there because that’s the closest example in the Stripe docs to what we need, which is what it would expect from an express app. 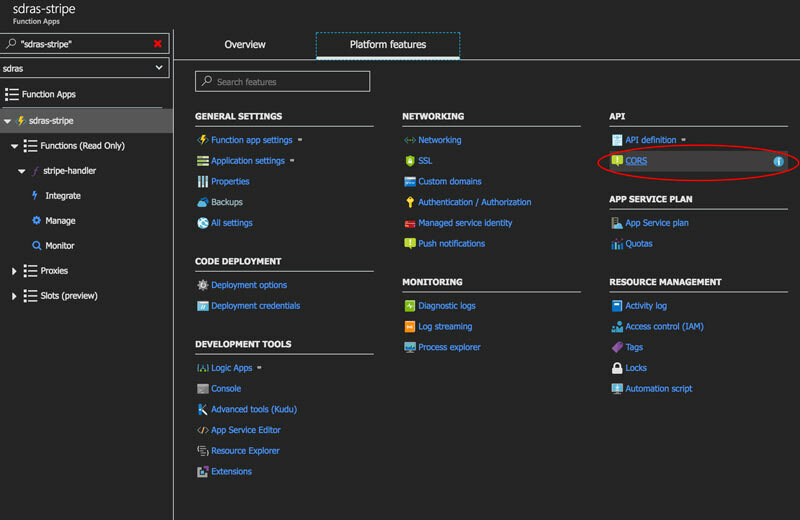 When you told Azure to pull from the GH repo, did you tell it to use the “stripe-handler” subdirectory of the repo? If not – how did Azure know that it needed to work with that particular folder? Hi Raymond! I didn’t tell it to, no, it will create a new function for every subdirectory. Thanks for the tutorial. I’m new to Azure and spent a few minutes trying to figure out where to install the stripe package to run the test without errors (before I proceeded to next section about syncing with Github). In case anyone else is wondering, the instructions for accessing the function app shell are here: https://docs.microsoft.com/en-us/azure/azure-functions/functions-reference-node#node-version-and-package-management. Following these steps, you can npm init and npm install --save stripe to your cloud function. Thanks for posting this. 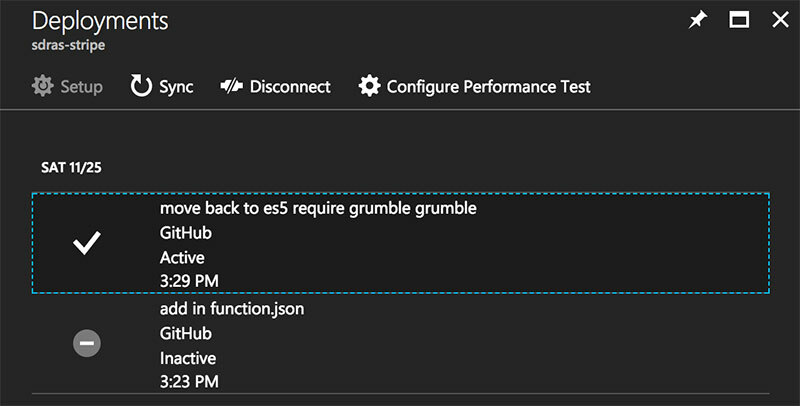 I didn’t realize these serverless functions could be managed from the debug console like everything else on Azure.